Heathrow Airport is set to launch the latest in a round of public consultation about the Third Runway this month. According to airport campaign group HACAN, they are expected to open the major consultation exercise on 8 January on a number of issues relating to the airport including night flights, flight paths and increased use of Heathrow in advance of the third runway opening. It is thought likely that more specifics about flight paths will be revealed as part of the consultation exercise. The more northerly positioning of the new runway means that areas such as Ealing, Acton, Chiswick and Shepherd’s Bush might see much more air traffic overhead. 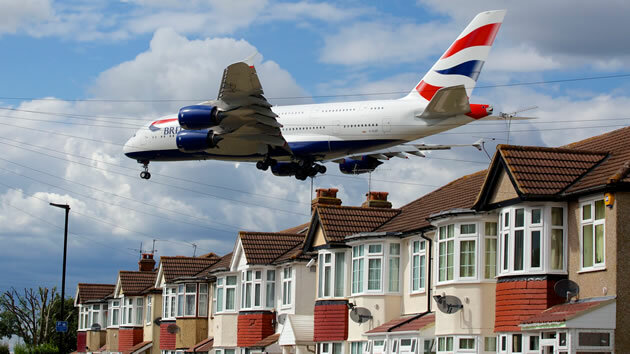 Heathrow’s first consultation new flight paths held last year, asked for views on the ‘design principles’. These include issues such as should new areas be avoided; should all flights be concentrated over certain areas; or should flight paths be rotated. The new consultation will ask more detailed questions on how the flight paths should be designed, what Heathrow calls its ‘design envelope’. At present when aircraft land over West London they switch runways at 3pm to give residents a half day’s break from noise. This will be reduced to a third of a day if a third runway is built. The consultation will ask for views on when people would prefer the break – for example one day plane free followed by two days without a break or a guaranteed break each day. A similar scheme will apply west of the airport if a third runway is built. At present people west of the airport don’t benefit from runway alternation. Planes all land on the northern runway (over Windsor). This is because of the Cranford Agreement which forbids regular departures over Cranford. The Government has ended the Cranford Agreement but has given Heathrow permission to postpone implementing the change until a third runway opens. In a typical year planes land over West London about 70% of the time (the days when a west wind blows). At present aircraft must take off within Noise Preference Routes (NPRs) which are 3km wide corridors. There are a number of them so the planes are not as constant as on arrival but, since they use them all day long, there is no predicable break from the noise for residents. Heathrow is expected to include in this consultation plans to give people under departure routes a predicable break from the noise for the first time. All airports are being required to redesign their airspace over the next few years. This is in line with the worldwide move away from the current ground-based technology to a satellite guided system. It will mean that narrower, more precise flight paths can be used. This will be improve operational efficiency, increase the resilience of airports, enable airlines to make time and fuel savings and, it is expected, reduced CO2 emissions per plane. Night flights are also going to be part of the consultation. The National Policy Statement on Airports required as a condition of that permission Heathrow draw up plans for a six and a half hour ban on scheduled flights at night. In this consultation Heathrow will ask for views as to what hours the ban should operate. Currently no scheduled flights are permitted between 11.30pm and 4.30am – a five hour period. Between 4.30am and 6am an average of 16/17 flights per night – all arrivals – are allowed. HACAN say that Heathrow also plan to consult on an extra 25,000 flights a year using Independent Parallel Approaches (IPA). This would require the lifting of the 480,000 annual cap on flights which was imposed as a condition of Terminal 5 and which has never been breached. Over the last few years the total has hovered around 476,000 per year. Evenly spread throughout the day, 25,000 extra flights a year equates to just 4 an hour (2 landings and 2 take-offs) but HACAN say they would be a lot more noticeable if they were squeezed into certain periods. There would be particular concerns if a lot of them used the 6am- 7am slot. Heathrow will only ask for these flights until the third runway is operational but, HACAN believe that if the runway is not built it is likely this increase in capacity will become permanent. They would only start once Heathrow’s detailed plans for a third runway had been approved – expected to be 2021. Heathrow aims to open a third runway in 2025 so it is likely IPA would be in place for about 4 years. At present, if delays are building up, Heathrow is allowed to land aircraft on the ‘wrong’ runway, i.e. out of alternation. But, because two aircraft can’t land on the two runways at precisely the same time, a plane landing on the ‘wrong’ runway can reduce the capacity of the other runway. IPA is a way to get round that. It would involve any aircraft using the ‘wrong’ runway to join that runway closer to the airport than the 8 nautical miles planes currently use. To get to that point they would use a dedicated approach from the holding stacks so as to remain separate from other planes. This would mean the introduction of some new, narrow flight paths. HACAN say that airlines have expressed concern that these extra planes might impact on the overall resilience of the airport which is already running almost to capacity. We have asked Heathrow Airport for confirmation of the consultation launch and further details of the issues to be surveyed.